Assisting Skills: Some teachers, and students, may feel that “assisting” is overdone. However, some students learn by “feeling” a technique. Add to this – some teachers are better at assisting than they are at anything else. A physical assist is not necessary, if a student is performing the technique correctly. Modification Skills: Some students never need to use a prop. In such cases, a student may have extraordinary range of motion. For the rest of us, using props is the best possible method for optimum alignment. The importance of props, for Yoga teachers, is making sure that you have entered into the type of course, which will educate you to help students, who might have limited range of motion, for one reason or another. 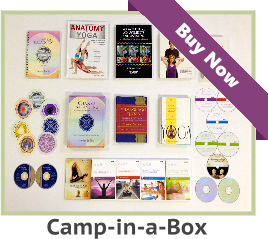 The Camp-in-a-Box, Eco-Friendly, Gold, and Platinum Yoga teacher training courses, address the proper use of props and give more details about assisting. If this were a priority in education, the Platinum course would be the best choice. Each of us teaches different types of students. If we were teaching a class of flexible, young athletes, we probably would not have to learn how to make modifications. On the other hand, most people could use some assistance with alignment and modifications. Compassion: This is probably the most under-rated ingredient required to teach Yoga. If an egotist were to teach classes, without compassion, what would the students learn about Yoga? In fact, students would receive the wrong message, regarding Yoga, entirely. Therefore, compassion is part of Aura’s grading criteria. 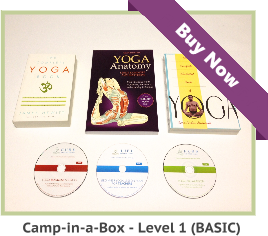 Q: I feel I could pass a one weekend Yoga certification course, without any hassles. What is the importance of entering into an intensive teacher course that could take months to finish? A: There is a reason why 200 hours is considered the international (minimum) standard for Yoga teacher certification. How much could an intern learn at a weekend Yoga teacher intensive? In fact, how many teaching skills could anyone learn on one, or four, weekends? My point is that material has to be studied, absorbed, processed, and practiced. In this way, a teacher transcends beyond the practice itself. Teaching skills are not practice skills. Teaching a class is much different than personal practice. At the same time, it should be pointed out that mastering a few dozen postures over a weekend, does not constitute a competent teacher. 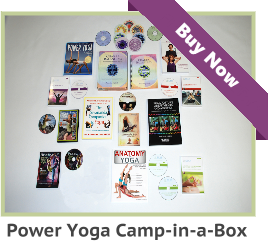 See videos, demonstrations, and lectures related to inexpensive yoga teacher certification courses and specialized continuing education programs.